If you’ve never considered travel to Oman, prepare to change your mind. 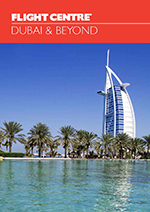 While it’s less ostentatious and popular than its Emirate neighbours: Dubai and Abu Dhabi, therein lies its charm. At Flight Centre, we’re not only familiar with the country’s incredible landscapes, ranging from secluded beaches to lush oasis and sweeping desert plains, we’re fascinated by them. As a result, our Beach Escapes team is dedicated to seeking out the best resorts and experiences that Oman has to offer, to ensure you love it as much as we do. With our knowledge and expertise, we can book any holiday or experience that you want in Oman. If you’d like some guidance or inspiration though, you’ll love our Beach Escapes range. Featuring flights, hand-picked resorts, transfers and a range of unique extras, our Oman beach holidays are designed to ensure you truly sit back, relax and enjoy your holiday with the peace of mind that we’ve taken care of every detail, and all for a great value price. Our Escape holidays can also be tailor-made to be exactly what you want. From room upgrades to stopovers along the way, anything is possible when you book with our Experts. As part of our Beach Escapes holidays, we also offer a FREE Travel Butler service to ensure your holiday is completely stress-free. From the moment you book to the moment you arrive home, your Travel Butler will available to answer any questions you may have, make any changes to your itinerary and offer advice on what to see and do in Oman.